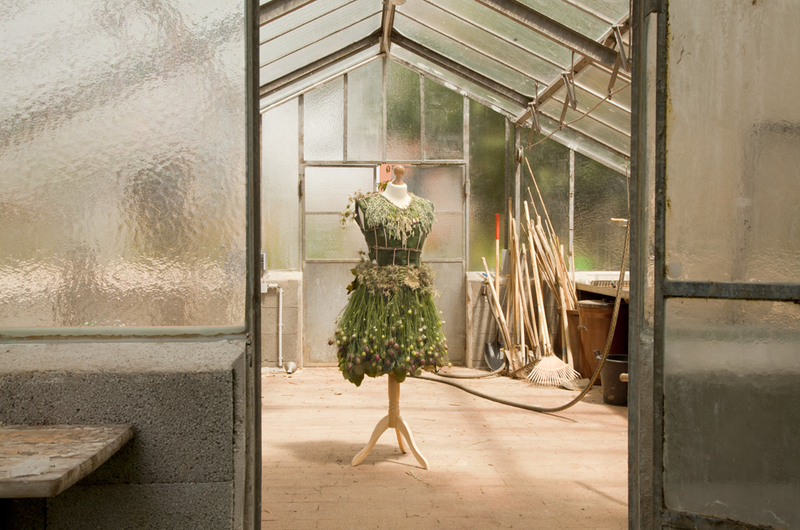 In June 2014 I was invited by the Weleda Company to create botanical garments for the Landesgarten Show, Between Heaven and Earth, in Schwäbisch Gmünd, Germany. Weleda has just opened a new garden complex in this area and my work for them was part of the opening events for this new site. Weleda makes organic beauty and medicinal products based on the Biodynamic© farming concepts begun by Dr. Rudolph Steiner in 1921 and this new 56 acre demonstration garden/farm was a fantastic place to be! The State Garden show was throughout the town but concentrated near the Weleda garden site and around the beautiful Villa Hirzel hotel I was staying in. 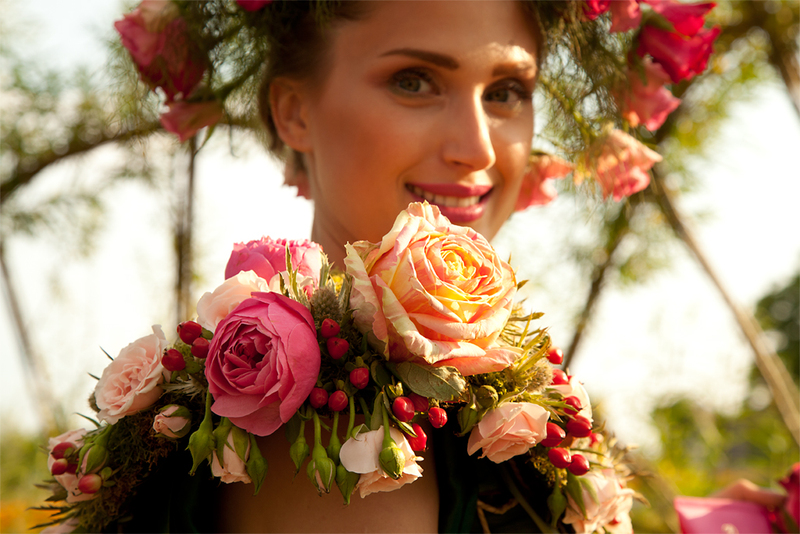 I made 5 dresses that incorporated the natural ingredients that Weleda uses in their products. 2 dresses, one featuring the Rose and one made with Pomegranate were worn by models at a press event. The other 3 were on dress forms and installed in the garden. I of course took lots of photos, so enjoy! See all the photos on my Flickr page.